New trailer due out later today. 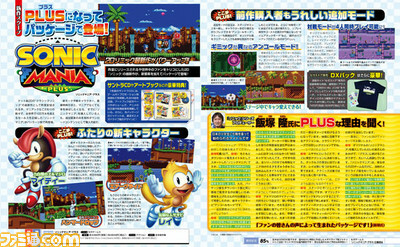 Sonic Mania Plus will launch for PlayStation 4 and Switch on July 19 in Japan for 4,490 yen, the latest issue of Weekly Famitsu reveals. In Japan, the physical release will include goodies such as a soundtrack CD and art book. Users who already own Sonic Mania will be able to purchase the newly added content as downloadable content for 500 yen. 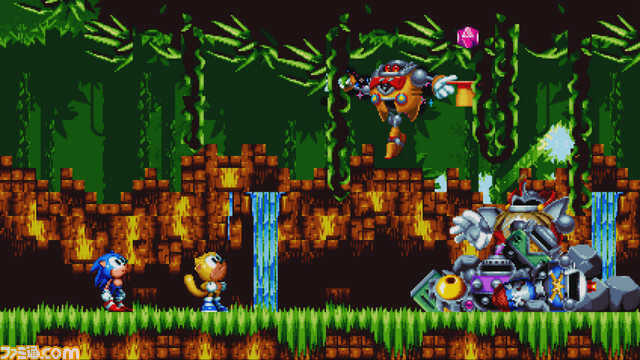 In the Americas and Europe, Sonic Mania Plus is due out “this summer” for PlayStation 4, Xbox One, Switch, and PC. The official Sonic the Hedgehog Twitter account teased yesterday that a new trailer is due out today, so the western release date will likely be announced in the coming hours.